Contrary to popular belief, P.C. § 245(c) does not require one to actually commit any touching but merely to intent and opportunity to do so. Furthermore, this code section does not include the use of a firearm. Instead, a deadly weapon encompasses any instrument other than a firearm against a police officer capable of causing great bodily injury. 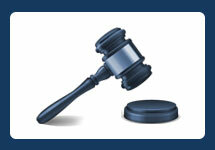 Consequently however, a conviction carries substantial time in California state prison. Prosecutors treat all crimes against a police officer extremely seriously which is why one should retained a skilled defense attorney to argue on their behalf. Moreover, prosecuting agencies have implemented specialized units consisting of seasoned veteran prosecutors to ensure a suspect later stands convicted for their offense. Often times, assaulting a police officer with the use of a deadly weapon can be built on a number of exaggerations. In addition, usually all other police officers will additionally support those exaggerations to make an example out of someone not to mess with law enforcement. It’s important for a skilled attorney to expose those exaggerations to prove the innocence of their client or get the case dismissed completely. Just because you’ve been arrested does not mean you are guilty. There are a number of defenses available to someone who has been accused of assaulting a police officer. Most attorneys are not aware of the specifics of a case that must be analyzed when representing someone who has been accused of committing a crime against a police officer. 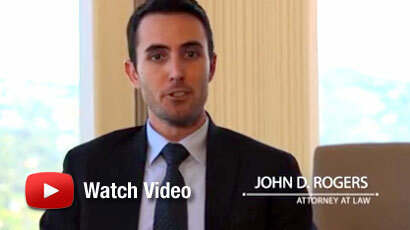 The Law Offices of John D. Rogers has extensive experience in handling cases against police officers and stands ready to aggressively defend his clients to effectively get the case dismissed. What are the Legal Defenses to Assaulting a Police Officer with a Deadly Weapon? The public officer was not lawfully engaging in the performance of their duties at the time you allegedly committed the assault. Perhaps the officer was engaging in excessive force unlawfully outside the scope of their duties. The individual whom you allegedly assault is not a public officer – i.e., a security guard. Self-defense: You reacted against the police officers illegal performance. For instance, defending yourself against the police officers excessive force. You were reasonably defending someone else to prevent the use of the officer unlawful act or excessive force. You had no reasonable reason to know the person arresting you is a police officer. Instead, the police officer was working undercover and never identified themselves or give you any reason that they were law enforcement. The police officer is exaggerating the circumstances or lying in their police report and/or perjured their testimony against you. You did not purposefully or intend to bring harm to the police officer(s). The instrument or object used was not an object capable of causing great bodily injury – e.g., a piece of bubble gum. Mistaken Identity: This occurs often when the police officer(s) cannot identify the perpetrator or “thinks this looks like [them].” Factors to show misidentification fall within cross-racial identification, poor lighting, or a traumatic experience affecting the officer’s recollection of the assailant. Police officers are human being fully capable of misidentifying someone. What is the Punishment for Assault with a Deadly Weapon upon a Police Officer? If you or a loved one has been arrested or charged with assault with a deadly weapon upon a police officer under PC 245(c), then contact an experienced Orange County criminal defense attorney at the Law Offices of John D. Rogers. Call us today to schedule a free confidential consultation concerning your rights and defenses.